Welcome to Prep School for Cave Girls and Boys. Let's start by reviewing Neanderthal poise. 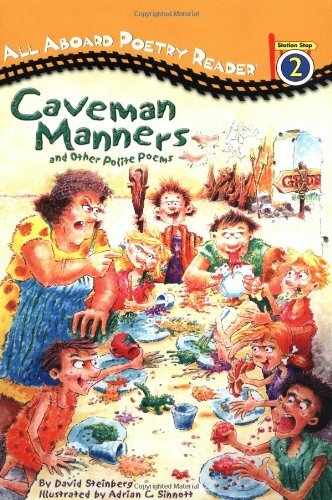 No burping, no slurping, no spitting, no spewing; Nice cavemen keep their mouths closed when they're chewing. David Steinberg is back with a new collection of easy-to-read poems- and this time he's tackling manners! Rollicking rhymes and laugh-outloud artwork pair up for a hilarious collection that kids will enjoy reading again and again. 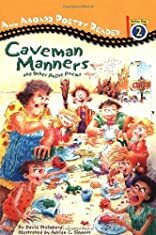 Learn manners in a caveman finishing school, meet Percival Pig (whose love of cleanliness leads to trouble in his mother's pig sty), and find out the terrible fate that befell the Nose-Picker Champ!